This is the coolest video game trailer of the Far Cry game series in my opinion. Warning I am a little bias. I enjoy movie openings in this format, so I enjoyed the trailer. Many first person shooter game trailers emphasis one thing, shooting. The trailer is all about the kill, but leaves out the characters. In some cases that is understandable because the plot (if there is a plot) is not important or is weak. 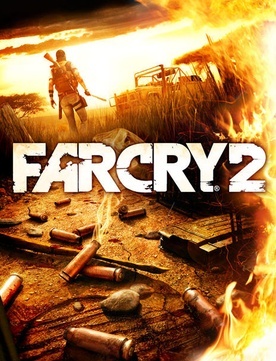 However, the plot of Far Cry 2 is a good plot and the characters are interesting. The trailer is a great introduction to the game, characters, and scenery. This is another game trailer that left me wanting to see this game as a movie. The Far Cry series has some great trailers but Far Cry 2’s Money, Diamonds, and Blood trailer has the best lines of the series in my opinion. I love this line: “We take three forms of payment money, diamonds, or blood.” I am still waiting for the opportunity to use it in a conversation.